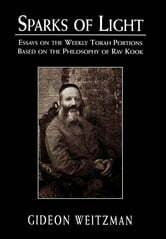 The author writes: "Rabbi Avraham Yitzhak HaCohen Kook (5635-5695/1865-1935) was one of the greatest Jewish leaders of recent history. He was steeped in Jewish knowledge of all kinds, a master of halacha, Talmud, and Jewish philosophy, and he also had a good knowledge of the general philosophy and science of his day." Rav Kook was also a prolific writer and complex thinker who developed a system of understanding the events that were happening to the Jewish people. It was a time of change, HerzI convened the Zionist Congress in Basel, irreligious Zionists were moving to Israel and establishing settlements and kibbutzim. There was a negative reaction from many religious leaders to the young men and women. Darwin's theory and Freud I s new science were gaining popularity and many Jews were drawn further away from a traditional lifestyle. Rav Kook was able to perceive the inner yearnings that accompanied these revolutionary changes. They represented a deep yearning within these young Jews for morality, equality, and justice. They realized that the world was not static but evolved and moved in a positive direction. Rav Kook embraced both Zionism and the young irreligious Zionists. He developed a philosophy that was based on the kabbalistic concept of fusion. The world appears divided; there is a break between heaven and earth, physical and spiritual, politics and religion. But at the heart of it all, everything is fused into a cohesive unit. This is true for the individual, the nation, and all of existence. 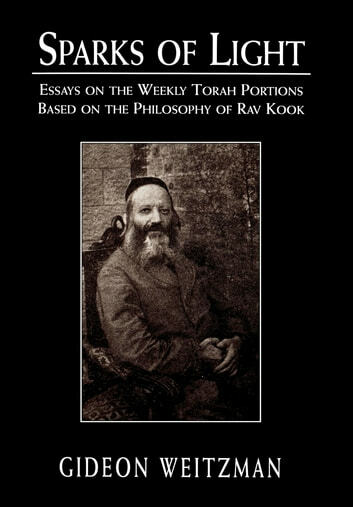 Rav Kook set about publicizing his theories and spreading his teachings to young thinkers, both religious and secular. This represents the bulk of his voluminous writings. Rav Kook never wrote a book of commentary on the Torah, but he did create a lens through which we can perceive and better understand the Torah. That is the basis for this book.